Can you believe it? Easter is just around the corner. This is the perfect chance to spend some quality time with your kids. 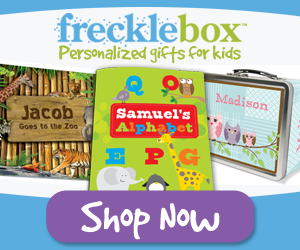 Keep them busy with some arts and crafts – what great FUN they’ll have! I’ve put together a list of easy DIY Easter crafts for kids. 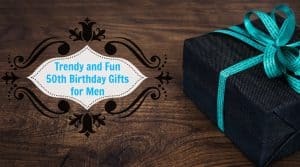 I’m sure you’ll find one or two from these that your kids will enjoy! If you love DIY Easter bunny crafts then why not try your hand at this one. 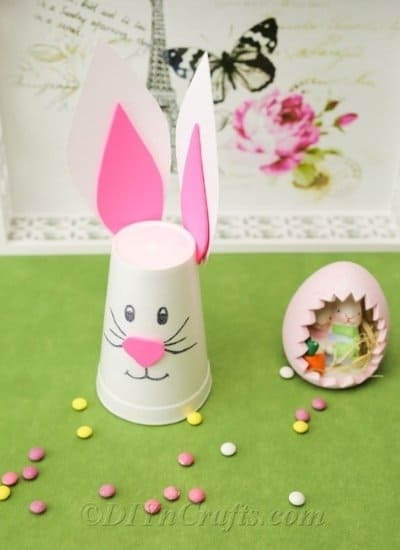 The kids will go crazy for this easy DIY Easter bunny made from a Styrofoam cup. They are so quick to make you can create an entire family of these Styrofoam cup Easter bunnies in a matter of minutes. 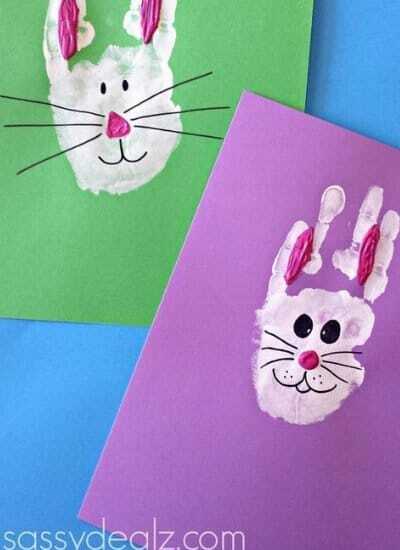 Let your little ones get their hands dirty while having fun with this Easter bunny hand print craft. You can use them as cards or you can even frame them and give them as a gift to grandma and grandpa. Ah…bubble wrap! Even as adults we are tempted to pop bubble wrap (yes, it is so). 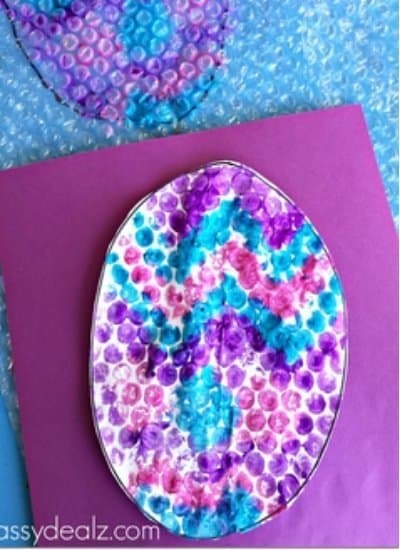 This bubble wrap Easter egg stamp craft is a really fun one for both kids and adults alike. You will need some bubble wrap though and some washable kids paint. You’ll want to make sure that if the paint gets onto their clothes it will come off easily. 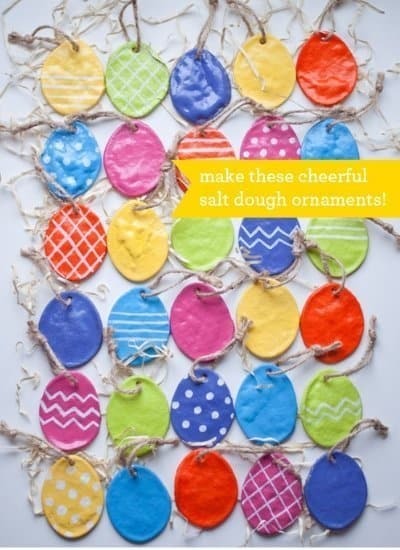 Salt Dough Easter Egg Ornaments – a great way to get involved by helping your kids make the Easter ornaments this year. 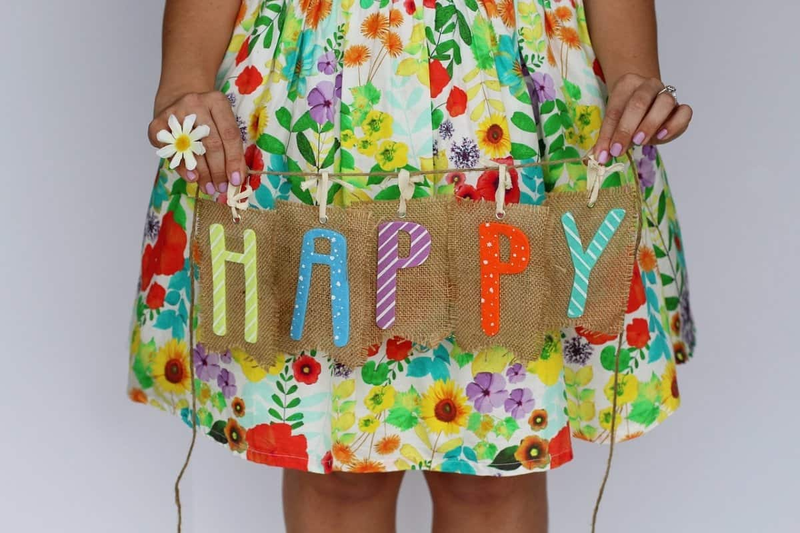 Paint them bright colors, add a cute design, and with a little bit of string you can hang them anywhere inside or outside the house. Homemade Easter baskets are great fun to make and are perfect for taking along on an Easter egg hunt. Here are a few unique homemade Easter basket ideas that you’re kids will love making. 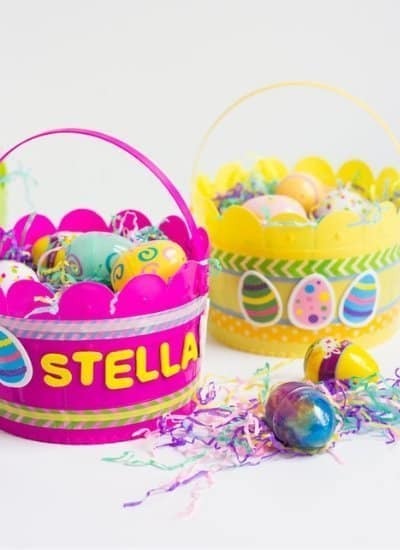 Project Source: Simple Kids Craft – DIY Easter Baskets! Unicorns are magical creatures! 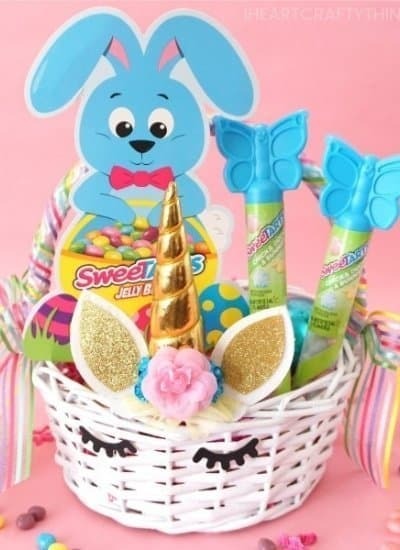 I have loved the idea of Unicorns since I was a child (still do today – shhh) so when I came across this tutorial for a DIY Unicorn Easter basket, I just couldn’t resist sharing it with you. Enjoy! 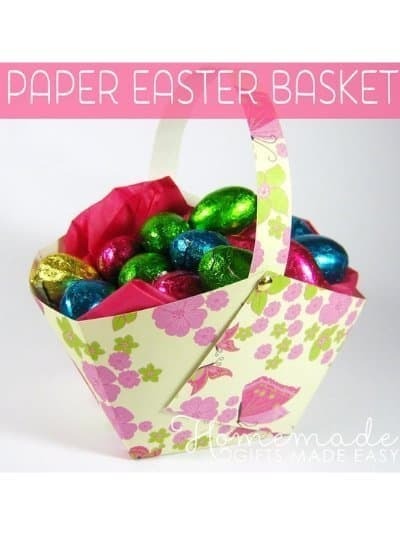 This paper Easter basket is so clever, but very easy to make. 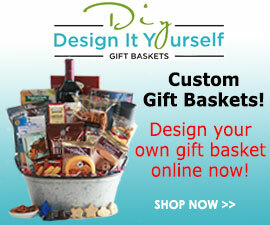 Fill it with loads of Easter egg surprises for family and friends. 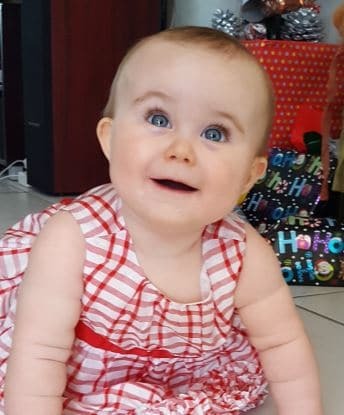 I just had to add this one, it’s so cute! Not quite DIY, but easy enough to put together for babies first Easter. 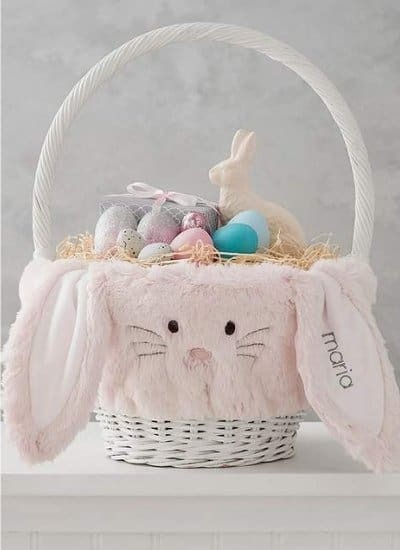 All you need is a wicker basket, grass filler and this beautiful, personalized Easter basket liner from Pottery Barn Kids. You can even wrap some ribbon around the handle and make it into a pretty bow. 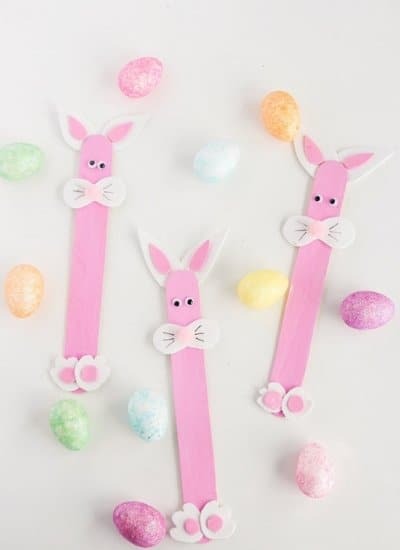 Kids of all ages will love making these adorable Popsicle stick Easter Bunnies. They will also make a great Easter basket filler or use them as name cards on your Easter table. The options are endless! Looking for something easy and fun to make? 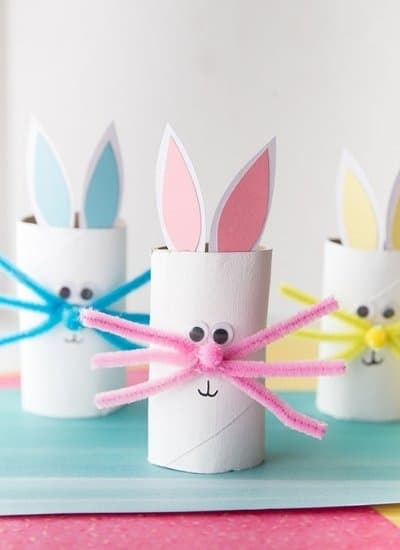 This toilet paper roll bunny craft is just the thing. Make them colorful and add your own floppy ears or googly eyes to give each bunny their very own personality. I just LOVE these Bunny mason jars, they are such fun! Perfect to keep your slime in or anything else you want to….candy, small chocolates. Also great as an Easter basket filler. Add funny faces and big bunny ears and you’re all set to go. 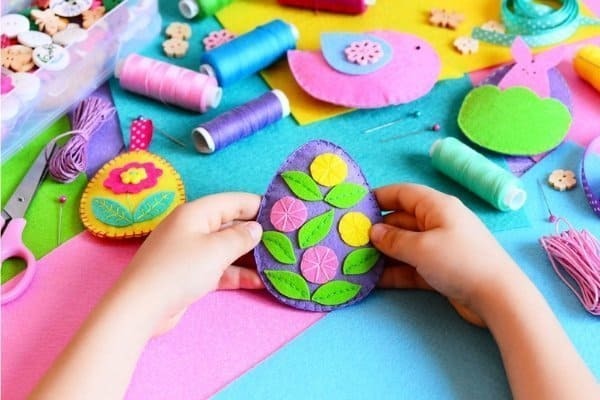 Super easy DIY Easter crafts for kids. 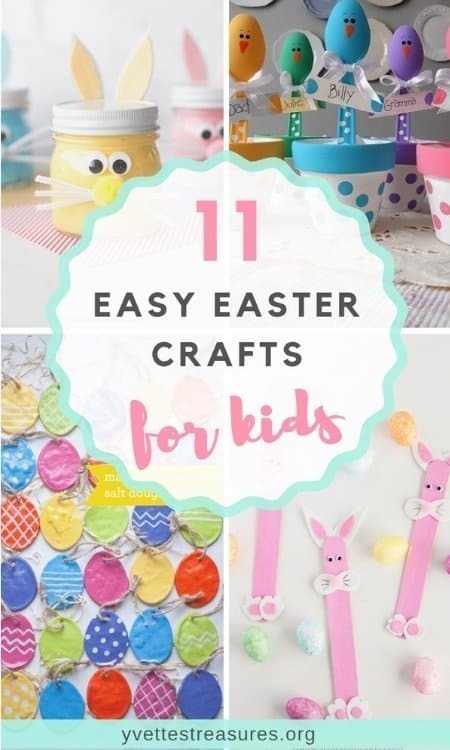 Plenty of easy tutorials to teach your kids how to make Easter crafts while having loads of FUN! Keep the kids busy! Thanks for sharing my bunny cups! Hi Vanessa, I love your DIY arts and crafts. Thank you for letting me share. 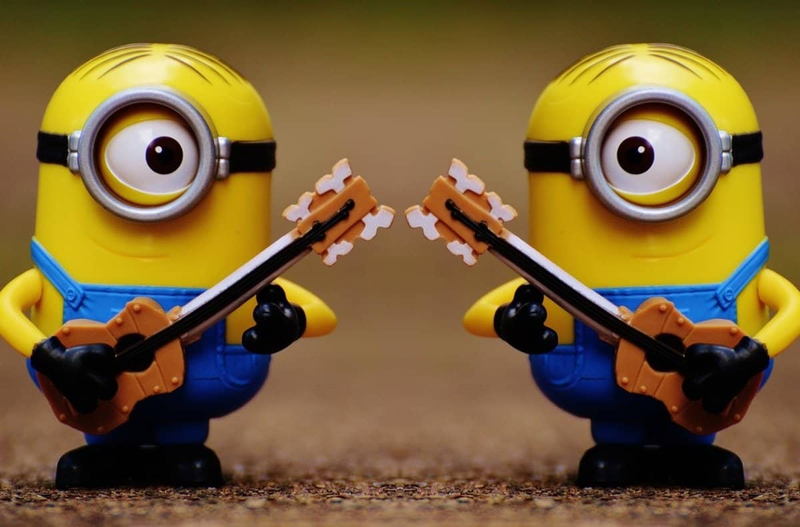 These are so crazy cute! Now I know what the kiddos and I are doing this weekend! I love the toilet paper roll one… so so cute! Hi Christella, glad you like them. 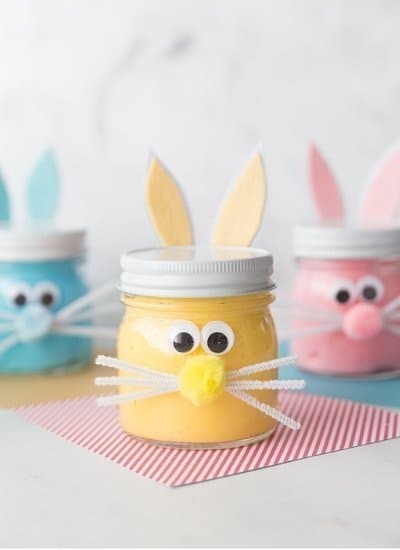 You and the kiddos are going to have loads of fun with these Easter crafts. Enjoy!